When it comes to root vegetables, size matters. Beetroot and turnips can be pulled at any point from golf ball size up, with smaller roots proving especially tender. But don’t let the roots grow larger than a tennis ball or they’ll become tough and woody. Enjoy parsnips any time after the leaves have died back, but for the sweetest, melt-in-the-mouth roots, wait until after the first frosts, which improve the flavour. Check whether peas and beans are good to go by literally getting to grips with their pods. Feel the pods to judge the size of developing peas, then shell a few to double-check. The same goes for broad beans. For other fruiting vegetables such as peppers and tomatoes, be guided by skin colour. Look for a good, even colour over the entire fruit. Many gardeners pick courgettes far too big – it’s easy to do! But the best-tasting courgettes are picked soon after they reach about four inches (10cm) long. Summer squashes can be harvested as soon as they reach a desirable size. Perfectly ripe sweetcorn is a seasonal treat like no other. Find out whether they’re ready to pick once the tassels at the ends of the cobs have shriveled up. At this point carry out the fingernail test. Peel back the sheath and sink your nail into a kernel. If it exudes a milky liquid it’s ready to pick and enjoy. If the liquid is clear, wait a little longer. Use your senses to pick soft fruits at their prime. Berries and currants should be evenly coloured. 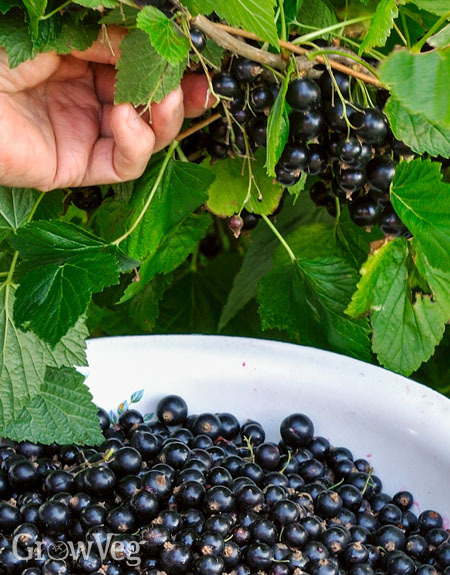 Raspberries will come away easily from their plug, while blackcurrants should be left a week after turning black to develop their full flavour. Blueberries develop their best flavour two or three days after turning blue. After so long tending your crops you deserve to enjoy them at their peak. Pick your produce when it’s perfectly ripe and ready and your food will have optimum flavour and the most nutritional benefit. Please do tell us in the comments section below what you’ve been growing this year and how you make the most of it.